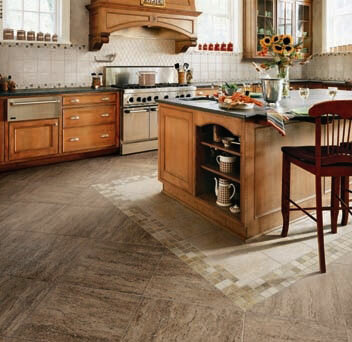 Mannington porcelain tile offers a complete palette of beautiful colors and sizes so you can coordinate floors, walls, and countertops. Elegant field tiles set the stage for the dramatic details found in our listellos and decorative trims. Porcelain is stronger and harder than granite; many styles can be used indoors or out for the ultimate in design flexibility.